Food & Recipes Archives - Page 3 of 26 - simple.green.organic.happy. 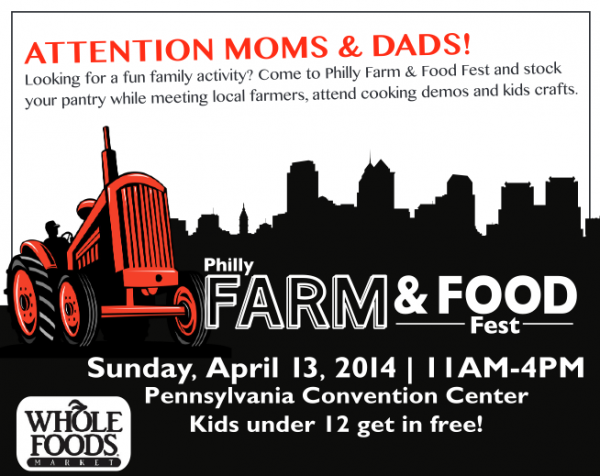 Post written in partnership with Philly Social Media Moms for Organics Live. Enter below to win a Vitamix S30 Blender! next year than last year. How about that for success? actually felt better, had more energy, and weren’t sick as much. Now see, that’s a noble goal. Trying to eat in a way that’s healthy and sustainable for your body, your lifestyle and the earth? Invested in preserving and improving the world we share? 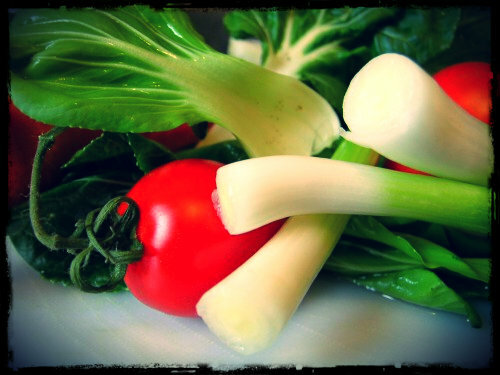 A logical first step is to incorporate more organic fruits and vegetables into your diet. Local peeps, huddle up. 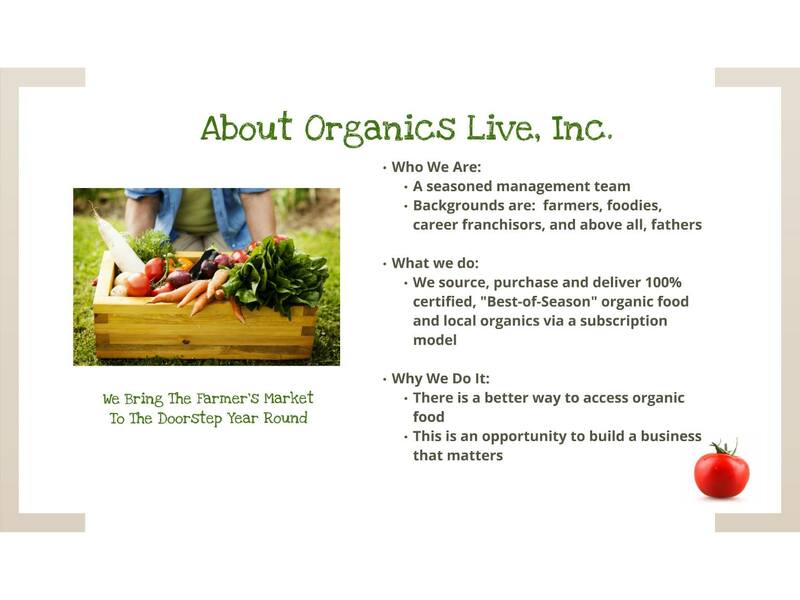 Today we’ve featuring a company that delivers locally sourced, organic food right to your door— for less than retail. And they’re offering opportunities to become a partner, so you can grow your own business while supporting organic. And there’s a chance to win a Vitamix blender at the end of this post. So, raise your hand if you or someone you know is making more of an effort to eat organic fruits and vegetables. We hear all the time about the benefits of eating organic and supporting organic farmers. But for many of us, shopping for organic food can be a timesuck and a chore, requiring a stop at the farmer’s market or CSA plus a grocery store or two just to get the foods we feel good about feeding our families. In addition to these reasons, many people feel eating organic is too expensive for their family budget. What if I told you there was an easier way? What if there is an easier way to get affordable, fresh, certified organic fruits and vegetables: delivered right to your door every week? Organics Live, a company founded in Canada, is coming to our area and will be offering their popular weekly delivery service to homes and businesses. Organics Live delivers certified organic, sustainably produced, and locally focused food and groceries for less than the cost of shopping retail! That and their 100% Satisfaction Guarantee is part of their very successful formula. 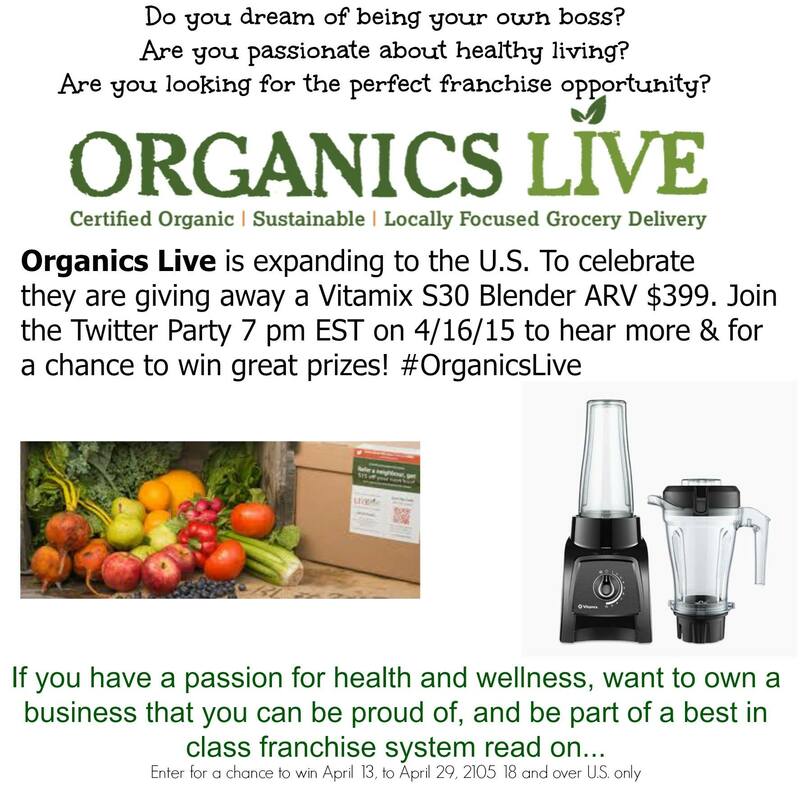 Right now, Organics Live is looking for the right partners in the Pennsylvania, New Jersey and Delaware Areas as they expand to the U.S.
Have you always dreamed about being in business for yourself? Did you leave the workforce to raise your kids and are now looking for something to generate income and a different type of satisfaction? Are you already passionate about health and wellness and interested in partnering with a company that has the same values? Are you a go-getter who works hard and feels it’s time to personally reap the rewards of the success you generate? Are you looking for a way to achieve work/life balance? If you said yes to any of the above, you may be the one of the partners Organics Live is looking for. 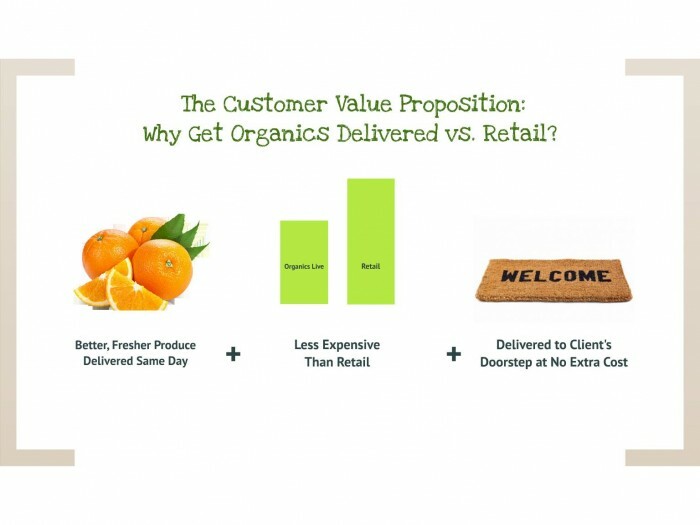 Why Organics Live as a possible business venture? Sales of organic products in the United States jumped to 35.1 billion in 2013, up 11.5% from the previous year’s 31.5 billion. 81% of U.S. families now choose organic food at least part of the time. You can join a rapidly growing company founded by concerned dads with a shared belief that strong, prosperous communities can be fueled by good clean food! No inventory, warehouse space, or product management. No receivables, billing, or collection. No sourcing, buying, receiving, packing, or deliveries. Corporate even provides your website, IT, sales hotline, and marketing materials! 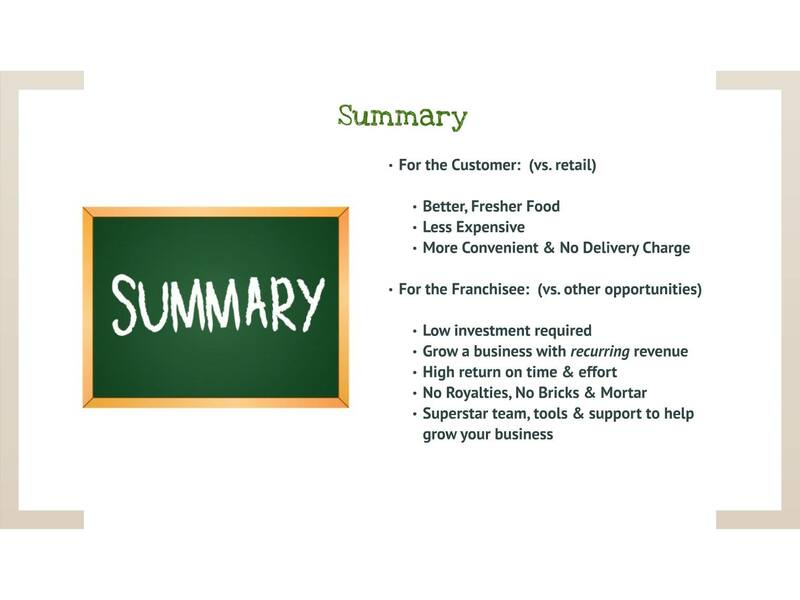 Territory ownership of households and businesses, full franchise status with resale rights, no royalties, and no brick and mortar required means your investment is 1/10 of a typical franchise operation start-up cost. If any of this appeals to you and you want to learn more or claim your desired territory before it’s taken, please visit Organics Live to learn more at www.franchising.organicslive.com. As for the rest of you, Organics Live looks forward to making it easier and more affordable for you to eat the way you want to! We can’t wait to show you the Organics Live difference! Stay tuned! Follow Organics Live on Facebook, Instagram and Twitter to keep up with happenings, expansion and seasonal recipes. To celebrate the U.S. expansion, one of you lucky readers will win this beautiful Vitamix S30 Blender! It is a powerhouse! Good luck! Now that’s what I call high quality H2O! Note: this post contains affiliate links, meaning if you click through to Amazon I get a small % of any resulting sales. If you’d prefer not to use those links, you can check out the full Lifefactory line on their site. I work out 4-6 times a week. Maverick comes with me 3-4 of those times. Cassidy has soccer practice and games. 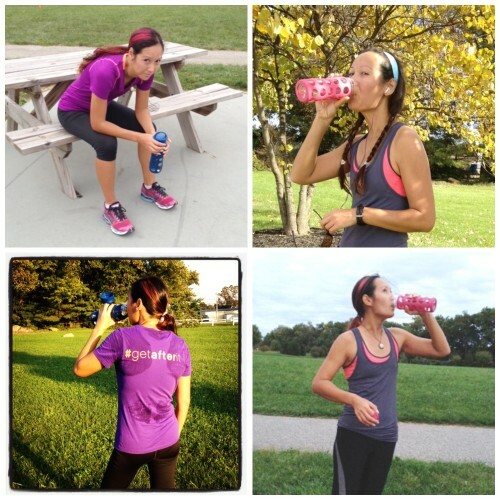 We drink a LOT of water in this house: during workouts, and in between. At home, we use the CamelBak Relay Pitcher I was sent on behalf of the Fitness Magazine FitBlog event to filter our hard well water (I should really write a separate post about that, we love it). 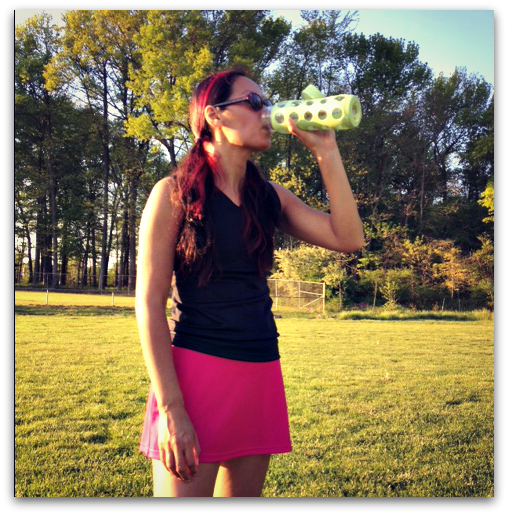 But on the go, I have one true love and that is Lifefactory glass water bottles . I’m convinced stainless steel and reusable plastic water bottles retain some taste from the dishwasher or from dish soap. It can be helped by using special cleaning tabs (or you can use something like Efferdent) but I’d be using those all. the. time. I don’t like that I can’t see inside stainless steel bottles to make sure they’re not building up funk inside. Glass bottles, by contrast, can go into the dishwasher and come out clean— no extra step. 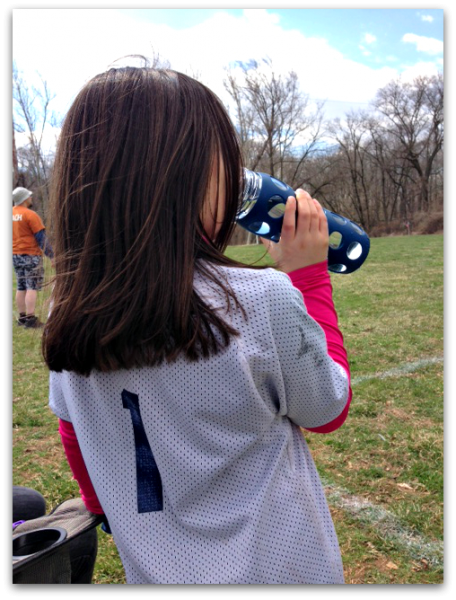 There’s none of the “do they or don’t they?” concerns about chemicals leaching like you have with plastic bottles. 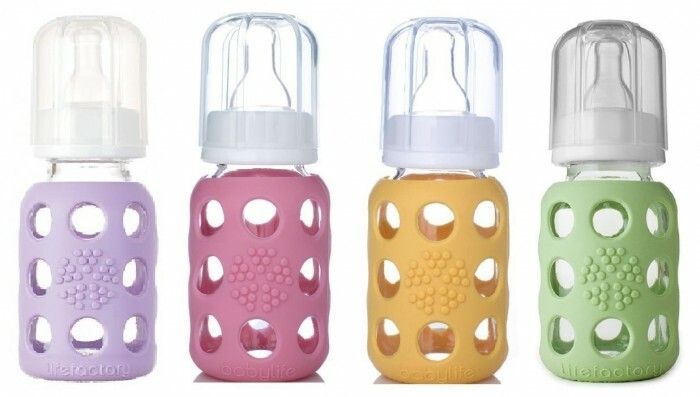 Lifefactory glass bottles are clothed in a silicone sleeve so they’re super sturdy (we’ve had ours for years now and trust me, they’ve taken some abuse), don’t leak even a little bit so I am comfortable tossing in my gymbag or a kids’ backpack, and come in a bunch of fun colors. You get the idea. I prefer the flat cap that screws on & off easily; it’s widemouthed so I can add ice cubes or protein powder. But they also sell with a flipcap or a straw cap. Well, I just discovered that Lifefactory now has food storage containers! We already use Pyrex glass containers for our leftovers, but I’ve never used them for packing lunches because I was afraid they’d get broken. These come in 1, 2, and 4 cup sizes and the smaller ones would be PERFECT for kid lunchboxes. These may seem expensive out of the gate, but I know I’m forever replacing plastic tupperware, especially small ones. The lids fall onto the dishwasher bottom and get mangled, they crack, and pretty much the first time anyone uses it to hold onions or anything with red sauce it’s done for. Lifefactory also has water or wine glasses (depending on the day you’ve had. With different color sleeves, you’ve never take someone else’s glass by accident again!) and baby bottles (4 and 9 oz), as well as silicone teethers . The baby bottles are made from thermal shock resistant borosilicate glass, so they can transition safely from freezer to boiling water. 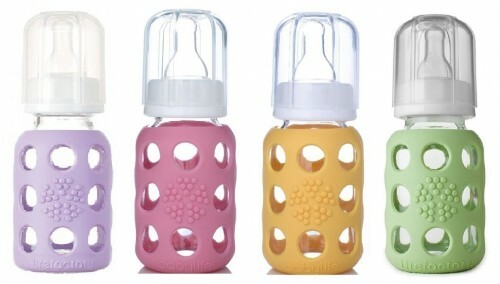 You can also buy sippy caps or flat caps for these bottles, so they’ll get years and years of use! Cass has a 9oz bottle with a flat cap and it fits into her lunchbox (it’s the only bottle Jeff will let me use to pack milk in his lunch on PB&J days). Now, I’m really hoping that you don’t need to be sold on the idea of reusables in general. Plastic doesn’t go away, and reusables divert a ton of waste from landfills. They also alleviate a lot of concerns about chemicals released when plastics break down over time. So any reusable is better than none. But IMHO, Lifefactory is the best. Who do you like?